is anybody else finding beam.smp to take up 100%+ system resources on macOS when launching Atom editor with the deprecated atom-elixir/language-elixir plugin? I don’t either. That’s why I’m trying to find/make a quick cheat sheet on common spacemacs commands to get me going efficiently. split view debugging! oh, this would be lovely. First you need to install it on your system. 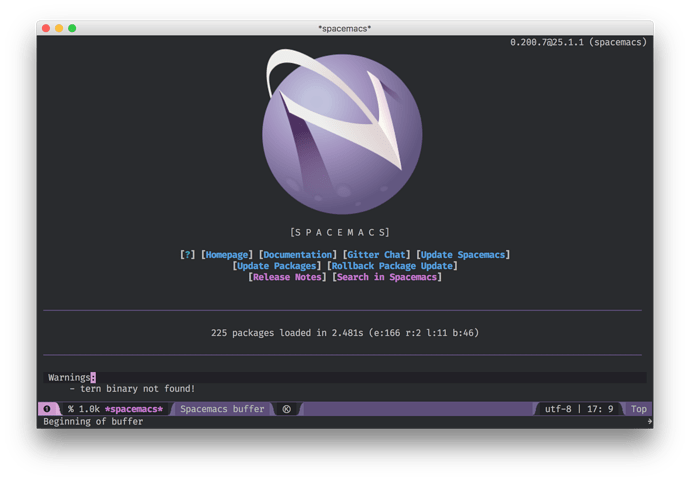 spacemacs - A community-driven Emacs distribution - The best editor is neither Emacs nor Vim, it's Emacs *and* Vim! That literally means that the tern binary, the tern program, is not found. Can you run tern on your terminal? One of your layers is looking for the tern program and you do not have that program on your path is the reason. My .spacemacs config file looks a bit ugly, but here it is. Do I need to separate the plugins into a layers file? You can also try to run emacs GUI from terminal. the problem is with the PATH not finding the tern binary when using spotlight. but if I use open /Applications/Emacs.app --args --debug-init (fish shell, iterm), it works fine. which emacs returns /usr/bin/emacs, which isn’t what I installed. 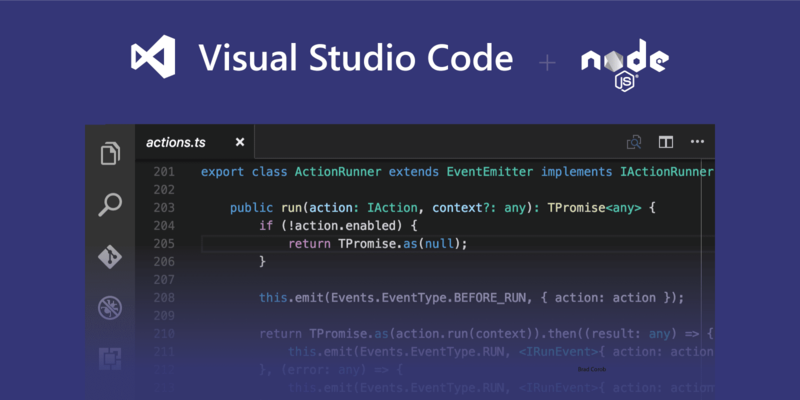 The Visual Studio Code editor has great support for writing and debugging Node.js applications. This tutorial takes you from Hello World to a full Express web application. I’ve given up on Atom. Atom on my Mac always got frozen in about 3 minutes and prompt “wait or close”. I’ve tried Emacs, Spacemacs and Vim each for a while. Finally I think VS Code fits me the best and it’s very stable. I have tried, and didn’t worked for my case either. Can you post this question on our spacemac wiki? So it’s not Atom specific problem. Should I report an issue on https://github.com/elixir-editors/vim-elixir/issues ? Beam.smp is taking lots of cpu usage after opening ex file. After couple of minutes it calms down, but story repeats whenever I close and open file again.